Does rsx type-s muffler fit on prelude sh? I'm looking for a stock muffler for my 98 prelude sh since the sound from the current catback is too loud. But it is not easy to find a used stock muffler while there a couple rsx mufflers on seattle craigslist. I've heard rsx-s muffler will fit on prelude. Is it true so I don't need any modification to install it? Last edited by hotrod; 02-10-2011 at 02:21 PM. Reason: merging back to back posts. Re: Does rsx type-s muffler fit on prelude sh? yes, brian(prelude1897) runs one. dont know what he did, or if he did, anything to mount it. might just need new hangers like lilbill said. take it to an exhaust chop, and they should get it on like xplicitabilst said. i never said it would bolt right up. 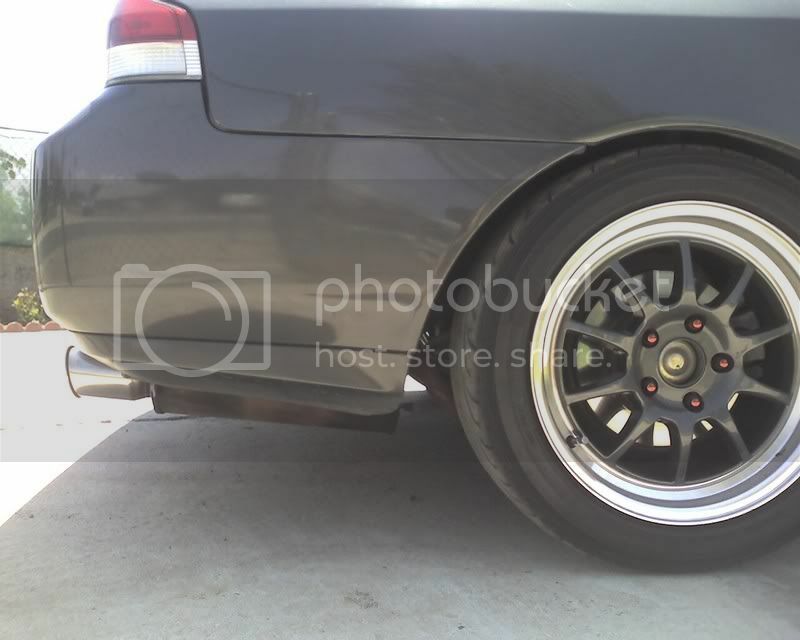 i said brian has one on his lude, but i dont know what mods he did to get it to work. also, being that you have after market piping, you are going to bottle neck your exhaust at the muffler, the rsx type s exhuast pipe diameter is 54mm or 2 1/8". most after market exhaust piping is 2 1/4" to 2.5". Last edited by biglegs; 02-09-2011 at 10:50 PM. Last edited by xplicitablist; 02-09-2011 at 11:47 PM. ah, cool man, no worries. didnt mean to sound defensive if i did, lol. btw you need to boost your post count to 100, so you can um, you know, get nominated. love you car man. yeah...I have greddy evo2 installed with the unknown header by previous owner. I'm going to figure it out what header maker is and what size of the pipe. Should I take off whole exhaust system and replace with stock one? Get a silencer for your exhaust and you will be fine, I have one on my exhaust and it is quiet enough to hear your music.. If you want quiet i would go with a stock catback system... I have one off a 98 base but the b pipe and axle back are stuck together and on top of all that it is in texas in my grandfathers garage(at least i hope he hasnt tossed it) so i cant help. Im sure if you post a wtb stock exhaust you could find one. (I didnt even think of putting myine for sale cause i figured nobody would want it) Dont chop up your greddy exhaust to put a stock muffler on... you could sell it, buy the stock and have some cash left over. Just a bit of advice... or you could always go with a vibrant universal muffler which should bring the dbs down a bit.